Toys & Books :: Myers Drug - Medicine, nutrition, medical supplies, and gifts for over 76 years! Little Golden Books is a popular series of children's books. By 2001, nearly 15 million copies of The Poky Little Puppy have been sold. Laughter is the best medicine. This adorable book is fast on it’s way to becoming a cherished classic. 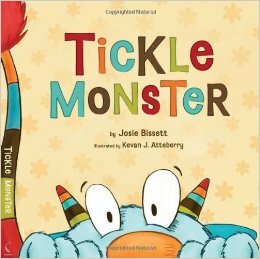 A loveable monster with big puffy mitts has just flown in from Planet Tickle. His mission is to bring joy and laughter to Planet Earth. How? By tickling any child who happens to follow along in this book. Parents read aloud and do the tickling, while their children squirm and giggle with delight.